Markdown is a lightweight markup language designed to make authoring content easy for everyone. Rather than writing complex markup code (e.g. LyX, XML, HTML or LaTeX), Markdown enables the use of a syntax much more like plain-text email. It is young comparing to the other markup languages. 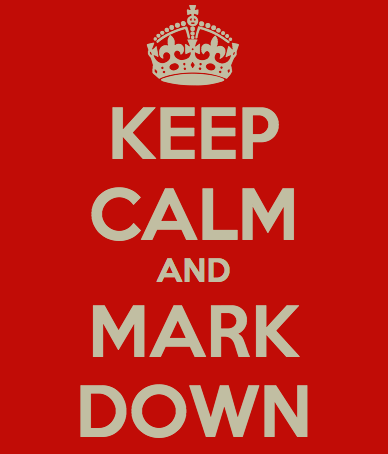 What makes markdown distinct is that it is both machine-readble and human-readble. R Markdown combines the core syntax of markdown and embedded R code chunks that are run so their output can be included in the final document. R Markdown documents are fully reproducible and the most important, it is simple! In this talk, Yihui will talk about some new powerful and beautiful packages in the ecosystem of R Markdown which make our analytical life much easier! Yihui Xie is Software Engineer at Rstudio Inc. He got his PhD from the Department of Statistics, Iowa State University. He is interested in interactive statistical graphics, statistical computing, and web applications. He is an active R user and the author of several R packages, such as animation, formatR, Rd2roxygen, and knitr, among which the animation package won the 2009 John M. Chambers Statistical Software Award (ASA). He is also the author of the books “Dynamic Documents with R and knitr” and “bookdown: Authoring Books and Technical Documents with R Markdown”. In 2006 he founded the “Capital of Statistics”, which has grown into a large online community on statistics in China. He initiated the first Chinese R conference in 2008 and has been organizing R conferences in China since then. During his PhD training at the Iowa State University, he won the Vince Sposito Statistical Computing Award (2011) and the Snedecor Award (2012) in the Department of Statistics.